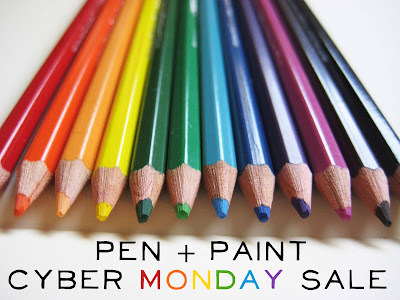 Cyber Monday Buy More, Save More Sale! 8x10 print bundles up to 42% off through 12 PM (EST). Not that I've been blogging much lately, but take 35% off your order with a special blog reader coupon code CYBER35 after 12 PM. This is the last Pen & Paint sale of 2013!